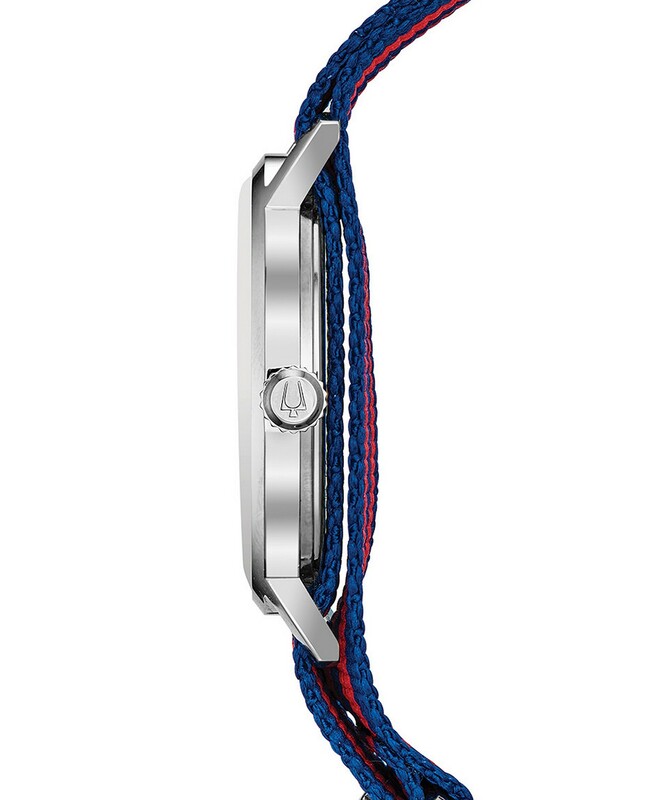 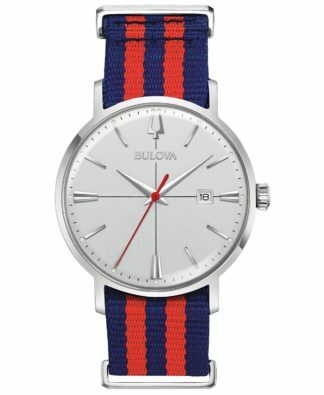 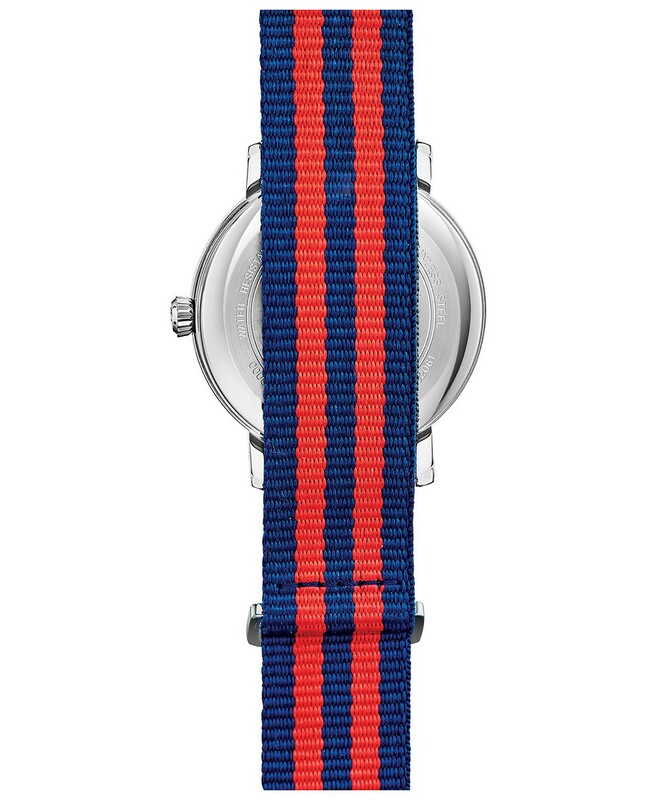 An articulate silver-tone dial balances the red and blue striped band of Bulova’s refreshing Aerojet timepiece. 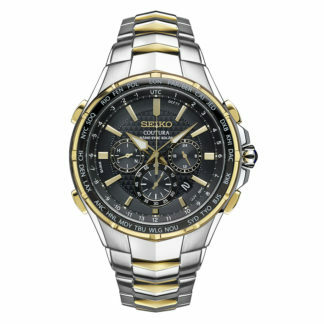 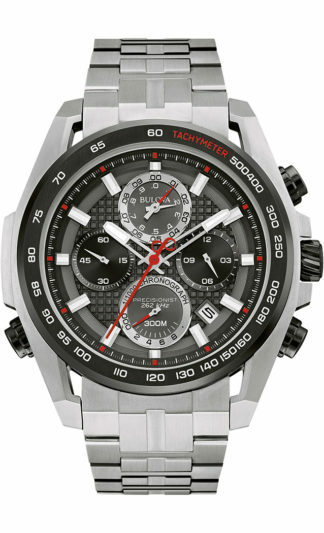 Features include a date display at 3 o’clock, mineral crystal protective window and quartz movement. 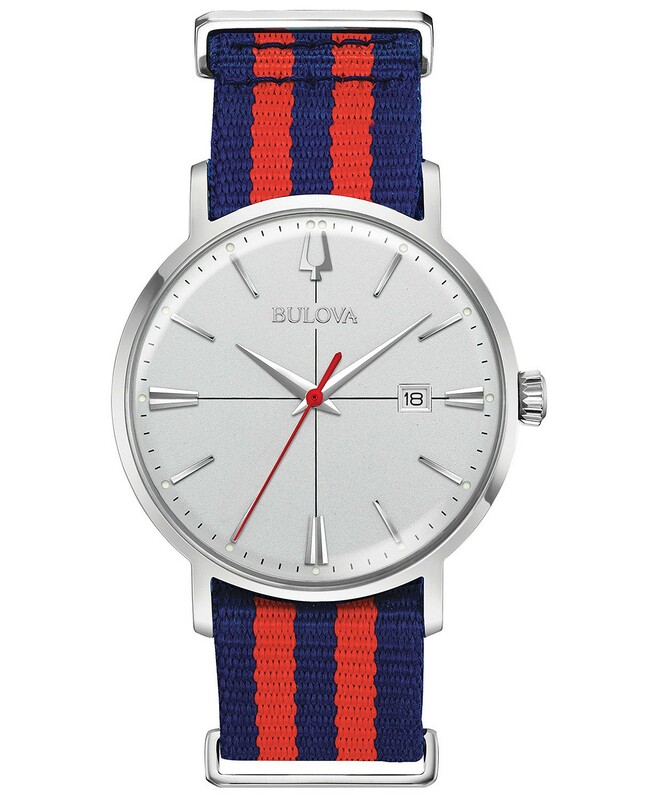 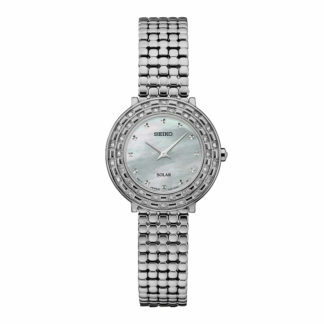 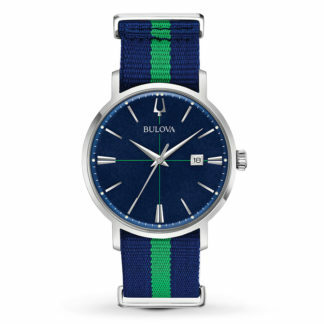 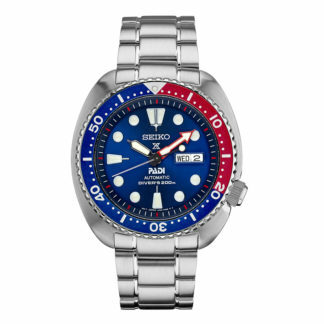 Bulova Aerojet Blue & Red Strap Watch 96B314 – An articulate silver-tone dial balances the red and blue striped band of Bulova’s refreshing Aerojet timepiece. Features include a date display at 3 o’clock, mineral crystal protective window and quartz movement.